A pedestrian passed an entrance to Harvard Yard. The US Justice Department on Thursday said that Harvard University’s admissions process “may be infected with racial bias,” weighing in on a case that could dismantle decades-long affirmative action policies in higher education. Harvard has failed to show that its use of race in admissions decisions is narrowly tailored as required by law, the Justice Department said in documents it filed in support of a federal lawsuit brought by a group representing Asian-American students. Harvard’s reliance on personal traits — such as kindness, leadership, and courage — in evaluating applicants hurts Asian-American students, who often receive lower scores from admissions officers than other applicants, the Justice Department said in its filing. The government’s intervention in the Harvard lawsuit had been expected, but is nonetheless significant and reflects the Trump administration’s aggressive push to end race-based admissions policies, experts said. The Justice Department has also launched its own investigation into Harvard’s admissions policies and whether they discriminate against Asian-American applicants. 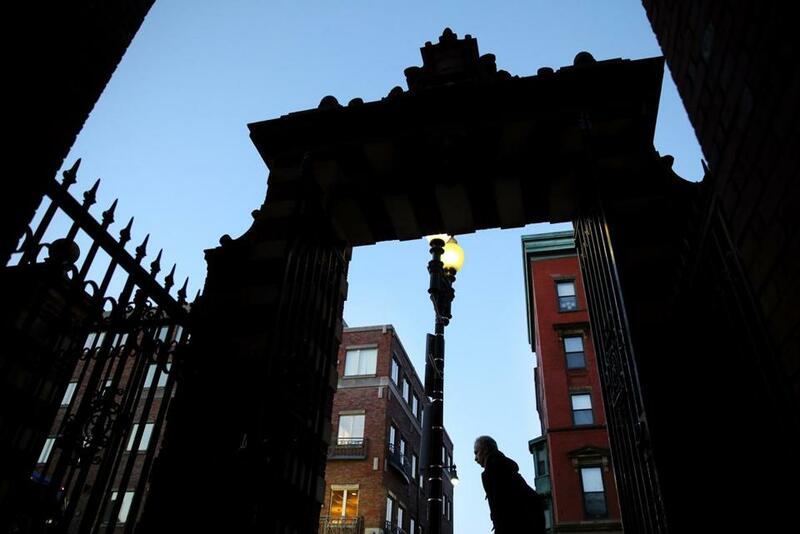 Harvard University’s own internal research raised alarms about how Asian-American applicants are treated by the college’s admissions process. In recent months, the department rescinded Obama-era guidelines encouraging schools to take a student’s race into account in admissions when trying to promote diversity. 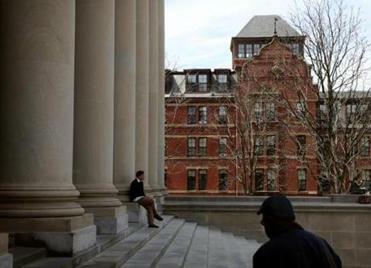 The Justice Department adopted many of the positions of Students for Fair Admissions, which brought the lawsuit against Harvard, and asked US District Court Judge Allison Burroughs to allow the case to proceed. The case is scheduled to go to trial in October in Boston and will probably ultimately be decided in the US Supreme Court in the coming years. Harvard has denied it discriminates against Asian-American applicants and said that its use of race in admissions meets legal requirements and ensures that all students learn on a campus that is diverse. Harvard is “deeply disappointed” in the Justice Department’s intervention and alliance with Students for Fair Admissions, said Anna Cowenhoven, a spokeswoman for the college. The Justice Department is “recycling the same misleading and hollow arguments that prove nothing more than the emptiness of the case against Harvard,” Cowenhoven said. Yet few deny that when the Justice Department speaks, judges do listen. Under the Obama administration, Justice Department officials used so-called statements of interest to weigh in on civil rights debates, from prisoner and disability rights to policing. The previous administration often stepped in at the appellate court level to offer its interpretation of the law, said Vanita Gupta, president of the Leadership Conference on Civil and Human Rights and the head of the Justice Department’s civil rights division under the Obama administration. Still, on Thursday the Justice Department went even further by offering its perspective on a case that has yet to go to trial and where the facts aren’t settled, she said. “They are being aggressive and not afraid of taking unprecedented action,” Gupta said. That’s welcome news to supporters of race-blind policies. The Trump administration seems more determined than even the George W. Bush administration to end race-conscious practices, said Linda Chavez, chair of the Center for Equal Opportunity, a conservative think tank, and a former Reagan administration official. The Supreme Court has narrowly preserved affirmative action, and colleges and universities are currently allowed to consider race as one of many factors in admissions. But the composition of the court is likely to change by the time the Harvard case gets there. This high-stakes case is being closely watched by university leaders, legal scholars, and conservative and liberal interest groups. A host of other elite colleges have also filed briefs in support of Harvard in recent weeks. And the case has divided many in the Asian-American community. On Thursday, an army of interested parties — including several economists, a group of about 530 social scientists and scholars, the Asian American Legal Defense and Education Fund, and the American Civil Liberties Union — filed briefs supporting Harvard. Race-blind advocacy groups, including Southeastern Legal Foundation, the Center for Equal Opportunity, and the Reason Foundation, submitted court documents opposing Harvard. This case isn’t simply about Harvard, but represents a threat to the broader issues of race and equity in higher education, said Dennis Parker, the director of the Racial Justice Program at the ACLU. Affirmative action policies were designed to remedy centuries of discrimination and are still needed, Parker said. “The argument that you should be colorblind doesn’t reflect the fact that there are still barriers for people of color,” Parker said. While the Justice Department is not specifically arguing for an end to affirmative action in its filing, officials haven’t ruled out that position as this Harvard case progresses. Justice officials have pointed to states such as California and Michigan that ban the use of race in admissions to public colleges and universities, and contend that institutions can achieve diversity by considering other factors, such as income. Yet the results of these state bans are mixed. In California, for example, which banned the use of race in 1996, the number of African-American and Hispanic students at the most elite public universities dropped drastically and has only begun to recover to pre-ban levels more recently.